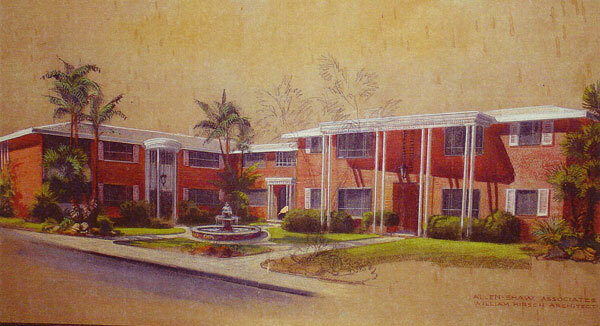 James Salter AIA Multifamily Housing Do I Have a Haver? 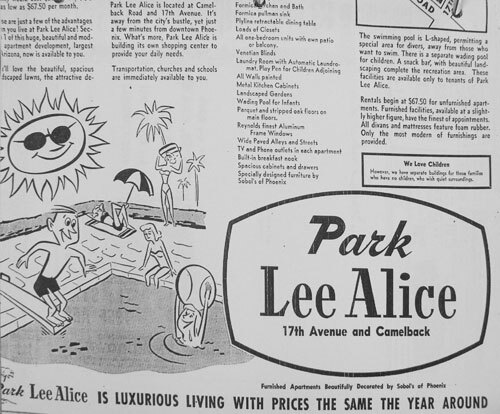 This apartment complex was originally intended to be built at Thomas Road and 32nd Street in the year 1953 for developers Samuel G. and Jerry Bialac, as ths premature press announcement in the Arizona Republic illustrates. 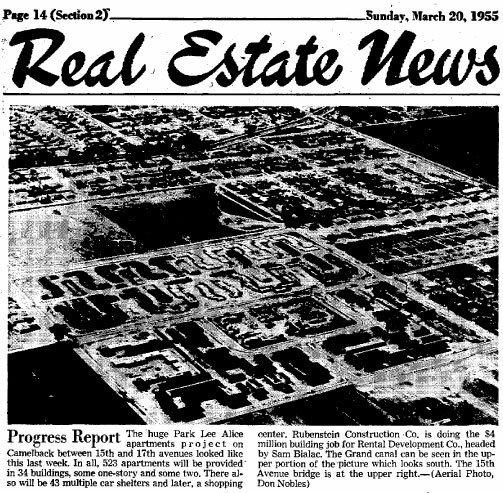 It was an ambitious undertaking, intending to have 1,500 apartments and a shopping center. 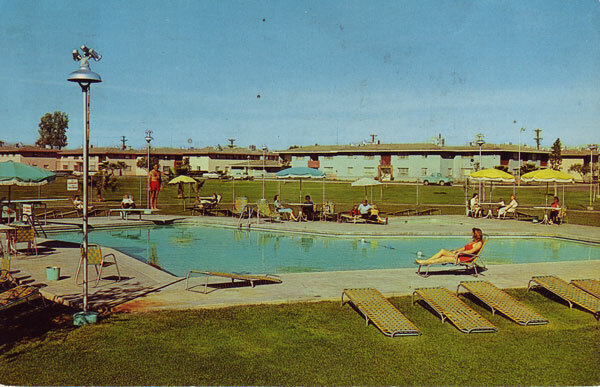 It would have been the largest housing project in its time in Arizona. When the financing didn't materialize, Ralph Staggs developed the land on Thomas into single-family home instead. 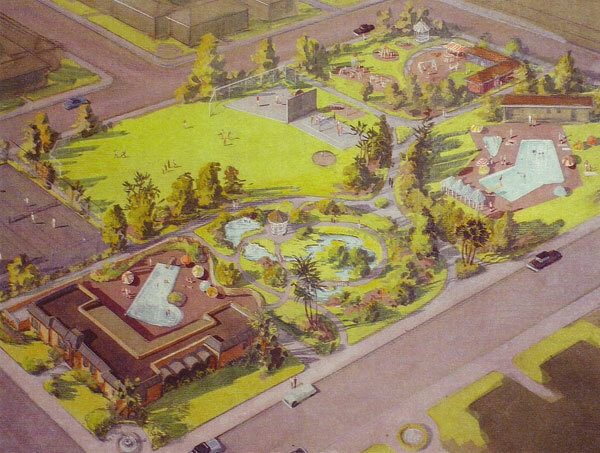 The project was shelved for two years, then financing was finally secured for Camelback Road near 17th Avenue.The community was reduced to 523 units and was desinged to have integrated recdreational areas such as tennis, handball and a garden with meandering brook. 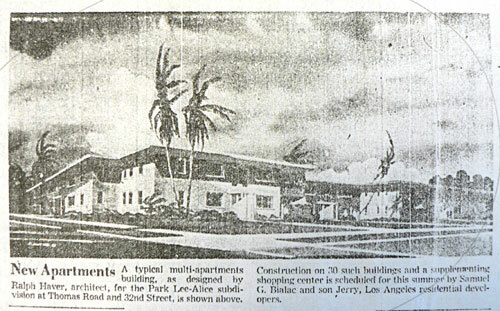 34 multifamily structures ended up getting built. 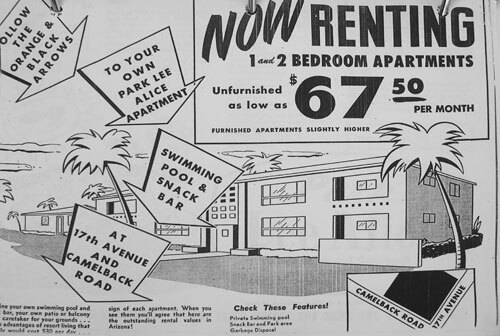 57 years later and now in the hands of the City of Phoenix, they plan to rehab it into affordable housing again. 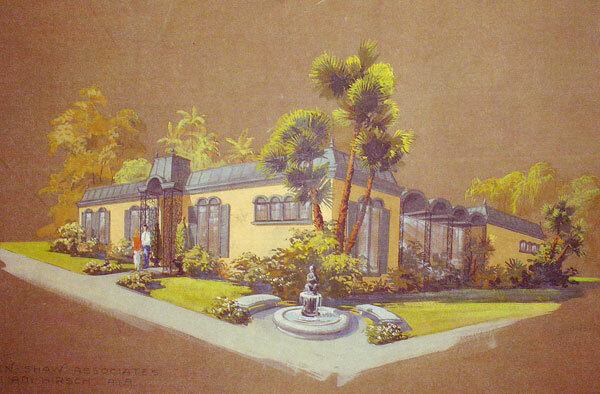 Nathan Hirsch, AIA of Allen Shaw Associates completed these renderings of the European-style homes. 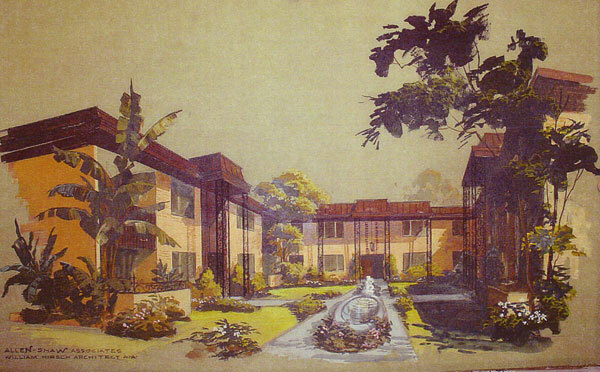 The extent of Hirsch's involvement with the project, and whether Haver was involved at all by this point, is unclear Most curious is how stripped-down and moden the apartments appear in the black and white advertisement renderings below in comparison to these lush and fussy paintings.Renderings generously provided by the City of Phoenix.